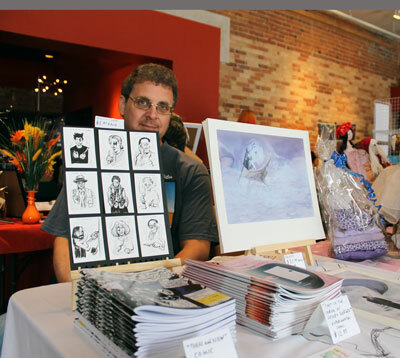 On a warm September afternoon in Toronto, people trickle into the Gladstone Hotel to browse the displays of local merchants, authors and artists. The Toronto Indie Arts Market is a new concept, developed through the frustrations of Sheryl Kirby and Greg Clow as people working in Toronto’s independent creative scene. They had a difficult time finding platforms to display their work and that aggravation is shared amongst many local artists. 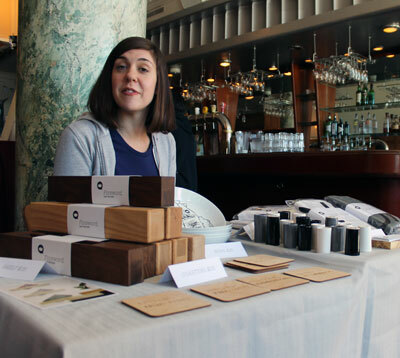 The second of many upcoming markets happened on Sept. 14 at the hotel 1214 Queen St W. More than 50 local artisans set up displays of their work for the public. Tables lined two rooms on the lobby floor of the hotel. 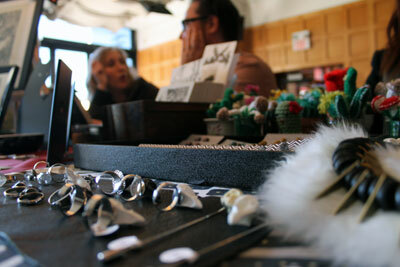 Amongst the displays are jewelers, crafters, soap makers, artists and authors. Admission is $5 with partial proceeds being donated to charity. This month, the Annex Cat Rescue received $2 from every admission paid. The charge at the door enables TIAM to keep costs low for their merchants, according to http://www.torontoindieartsmarket.com/. Merchants pay anywhere from $20-$60 depending on the size of their table. The low cost of promotion makes it easier for any artist to participate, even those working on a hobbyist level. Anyone can participate but must submit an application with Kirby and Clow via the website. Applications are currently being accepted for the Nov. 9 market. Merchants do need to meet a certain criteria. They must be local, independent and boarder on the hip and interesting.“This is not the place for doilies and sun-catchers,” according to Kirby via the TIAM website. 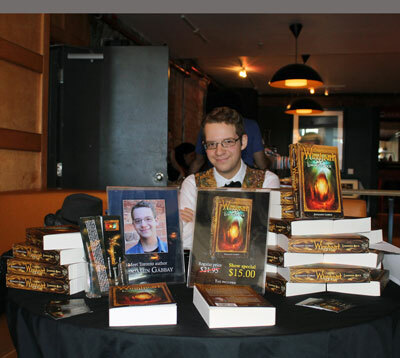 Benjamin Gabbay, 17, sits behind the display for his novel, Wingheart: Luminous Rock. 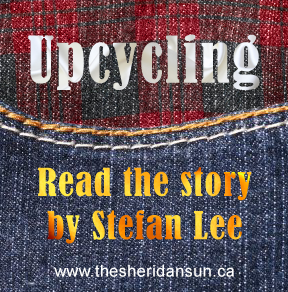 The book is the first installment in a trilogy. As he waited for people to approach his table, he typed. He is writing the second book in the Wingheart trilogy, out next fall. The trilogy is published under his family’s company, Arkane Books. Gabbay launched the book in 2012 at The Word On The Street Festival, where he will again be attending on Sept. 22. Aurora Stewart Depena is supporting her friend, Karen King, at the Toronto Indie Arts Market, by running her station. The small table displays reversible pillowcases, interesting bowls and coasters all made and designed in Toronto. King works out of a studio she shares with her boyfriend, who is also an artist. The company always aims to use locally sourced material for their pieces. Out soon will be a series of shelves and end tables made from the wood of the ash trees that had to be cut down in Toronto. Ghirardo also produces the webcomic, Untitled. 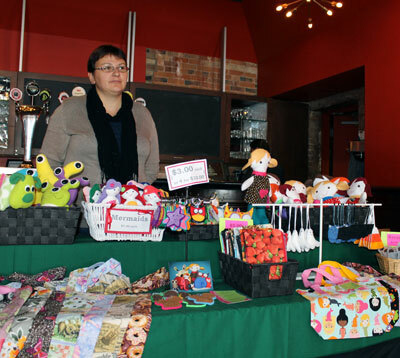 Ivona Olszewska started her business about a year ago. She’s a stay at home mom of two children with a knack for sewing. Fabric and Felt is the company and Olszewska creates and sells her stuffed trinkets and children’s toys. She attends craft fairs to sell her products. This is her first time at TIAM. 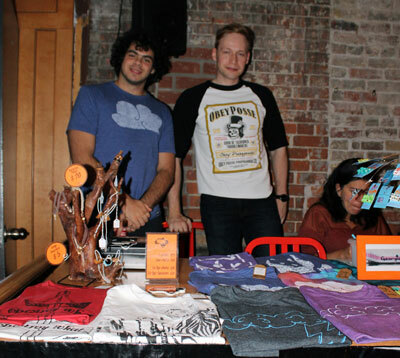 Vasilis Glezakos and Chris Tsoutsoulas stand behind their table at the Indie Arts Market. Their product is t-shirts, designed and created by Glezakos under the name, Pass the Soap. “He’s the art master, and I’m more the business side,” said Tsoutsoulas, referring to Glezakos. The ideas for the shirts usually come to Glezakos in dreams. The duo has been setting up their merchandise tables at hip-hop and breakdancing event, as Glezakos is a participating member of that community. This is the first time they’ve attended the market. Added by Michelle on September 17, 2013.